Annual flowers live only one growing season and are planted annually. During their life span they grow, flower, and produce seed. 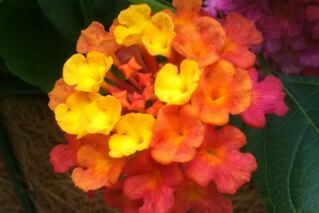 They are easy to grow, create a pop of instant color. Most annual flowers will bloom all season and are available in an endless variety of colors! Our annual selection at Daniel’s Farm and Greenhouses compasses 10 greenhouses! Annuals offer the gardener a chance to experiment with color, height, texture, and form. They are useful for filling in spaces adding color to perennial beds and areas where spring bulbs have bloomed and died back, and for filling pots, window boxes, and hanging baskets. The possibilities are endless with annuals! One of the most popular ways to enjoy annuals is hanging baskets. Hanging baskets are a great solution to punch up a porch or patio, and for folks with little or no space. We raise over 10,000 beautiful hanging baskets every year. 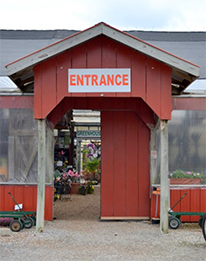 Come see our hanging basket selection in the spring; you are sure to find something to fit your needs and desires.